One of the things with always make me wander are all those comparisons, silhouettes: this one if presa this one is dogo… And one showing photos of two dogs that are different one from another with some conformation traits traits to prove a point of his or hers views. But how? By showing something totally out of context? Presa Canario is and was a very diverse breed, with lots of things that make you look at the dog and say: this is Presa Canario. You can also put one to another two very different dogs and say: this ar both Presa Canarios. And even more interesting thing might be this both dogs might both be good Presa Canario’s even when quite different one from another. 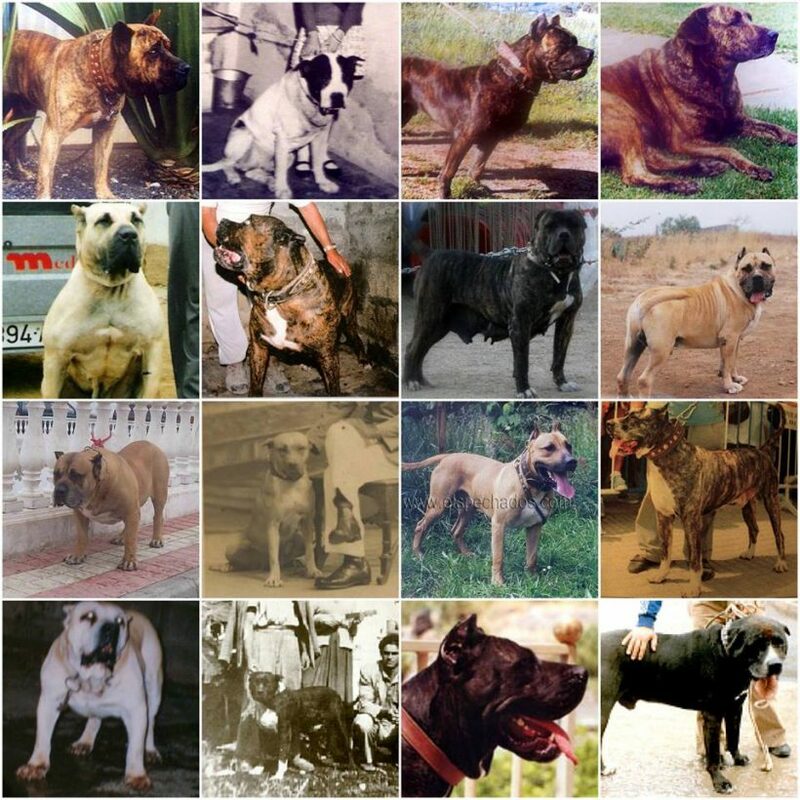 Sometimes on our own yard we have dogs from different breeders and this dogs are different one from another and have great qualities to add to our breeding program making it impossible to say… with one is a better Presa Canario? Or is the other one less of a Presa Canario? We try to judge this amazing breed like we judge show dogs… by a silhouette and some imaginary picture of perfect Presa that do not exist. Consistency of looks is a trait of show dogs, very pretty picture, quite amazing when you go to shows and really look this breeds make like from one production conveyor belt… but are we really in need of making Presa this type of breed? We do not need this type of consistency in this breed. Why would we. If we know there were two separate philosophies between Gran Canaria and Tenerife with conformation and function how we can say one was better than the other… they are both our breed. Presa Canario should be judged by functionality in the first place and without forgetting the breed standard, especially the further from the Islands the more important it is to be careful to keep it a Presa CANARIO if we like to call it with this name.